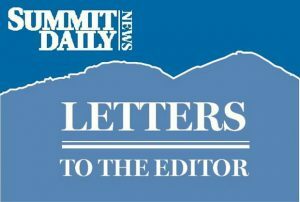 Editor’s note: Below are all of the letters submitted to the Summit Daily New regarding the Breckenridge Town Council race. In total, we received four letters for John Ebright, one for Elizabeth Lawrence, three for Mark Burke, three for Eric Buck and four for Erin Gigliello. The letters have been edited to avoid repetition for brevity. I would like to heartily recommend John Ebright for Breckenridge Town Council. I have known John for six years and have always found him to exhibit the traits of utmost leadership, integrity, concerning nature and, most importantly, dedication to the betterment of his fellow men and women. John has been, over the last several years, closely involved with the Wounded Warriors Family Ski Week, an annual event held here in Breckenridge during the first week of April. This program brings severely wounded soldiers from the Iraq/Afghanistan conflicts, and their families, to our community for an all expenses paid week of Family Enrichment Counseling, skiing, tubing, fishing and general camaraderie with fellow warriors who are also working through their life changing injuries. John has used his national contacts to help recruit worthy families for this event. He has also drawn upon his extensive business and executive experience to ensure that the finances of our non-profit are adequate to hold such an event. His wise counsel has provided me, as event chairman, invaluable assistance in making this event successful. The exemplary leadership and financial skills that John possesses are needed in Breckenridge, as the Town Council continues to make this community the best place to live in Colorado. Please give John Ebright your close consideration when you vote this month. John and Linda Ebright have been full time residents of Breck since 2006. Their commitment to our community began immediately. Linda has been active in Applause, CASA of the Continental Divide, B.O.E.C. on hill volunteer and coordinator of the Father Dyer Free Sunday Dinner. John, a Vietnam veteran, is on the B.O.E.C. Board plus an on hill volunteer, host committee member for the Wounded Warriors Family Ski Week, Board of the Backstage Theatre, past president of Summit Historical Society, and past president of his local homeowners Board. Additionally, I have personally seen John’s ability to analyze serious and complex financial projects. His education includes an M.B.A. and a certified public account certificate. His work experience included V.P./controller positions at 3 large public utilities. Our town council needs this type of citizen with proven commitment to our town and strong financial experience dealing with multi-million dollar projects. We have some significant future decisions, specifically the $20-plus million dollar water treatment plant, and I believe John has the critical skill sets to address these challenges. John Ebright has proven his dedication to what makes Breckenridge a great place to live. He consistently demonstrates his hands on, grass roots dedication to Breckenridge. For years he built props at the Backstage Theater, scooped ice cream to raise funds for the Summit Historical Society, now he serves on the board of the theater and is the former president of the Historical Society. I have found that the hardest part of working with John Ebright is keeping up with his abounding energy. For a community to be alive and vibrant it needs young growing families. John believes in a plan for stable and affordable housing and childcare for working families. The town council needs a financially savvy voice; we need an individual that is respectful of the taxpayer monies. Few citizens have given so much of their own time to our town as John Ebright. His energy, financial expertise and devotion to Breckenridge will serve every one of us well. Breckenridge voters will soon have a unique opportunity to vote for an intelligent, dynamic, charming and caring young woman for Breckenridge Town Council. I have known Elisabeth Lawrence for a number of years and I know that she will be a consistent and valuable asset to our community. Please give her your vote. I endorse and recommend the voters of Breckenridge re-elect Mark Burke to its Town Council. Mark is the only incumbent seeking office. During the past four years Mark has proven to be a voice of moderation and has accomplished a great deal without adding any debt or spending our reserves. His experience as a main street business owner and past university president has brought much needed balance to the council. My name is Collin Hyon and I am a 10-year-old Breckenridge resident. I had a great interaction with the Breckenridge Town Council this year and wanted to share my experience. Mark Burke (who many know is running for re-election this April) was incredibly inspiring with his dedication and commitment to listen and ask questions at a town council meeting this fall. I interacted with Mark as I presented to the town council why the Breckenridge skatepark is in desperate need of repair. I am an avid skateboarder and I noticed many youth struggle to safely skateboard with the current conditions of the Breck skatepark. Town councilman Ben Brewer approached us in the spring and inspired me to take action and work to get community support for a skatepark renovation and expansion. We met with Mike Barney (head of parks and recreation), formed a task force, and prepared a presentation to the Breck Town Council. The day we went to Town Hall, Mark Burke stood out with his genuine interest. I learned later he had recently been released from the hospital and even while he clearly was still very ill he asked articulate questions and was concerned in what our group of 100-plus skateboarders presented. He cared so much that he came to follow up with us at a skatepark open house in January. I very much appreciate how he assisted in getting an action plan to repair and expand our skatepark. It’s inspiring to see that the democratic process can work well and that we have local councilman like Mark who takes a genuine interest in the youth’s needs in our community. I encourage the voting public of Breckenridge to support for a Mark Burke on Election Day. The town of Breckenridge needs the skills, attitude and insight of Eric Buck, candidate for town council. Your vote for Eric is a vote for responsible and representative local governance. Eric has spent countless hours attending council and planning commission meetings as well as volunteer activities for Summit Foundation, Wounded Warriors and more, providing him with a working knowledge of issues facing our community. His experience as a financial analyst, local Realtor and supporter of job creation through a healthy business environment will provide a welcome, new perspective on major decisions concerning a new water plant, affordable housing, cost overruns on current projects and many more issues confronting our town and community. Eric believes all this can and must take place in a manner which protects and supports our mountain environment. Eric Buck is unique among the candidates as his agenda is to put the citizens of Breck first. He feels the council’s decisions should put the interests of existing residents, businesses, and property owners above all other priorities. His core principles are clearly outlined on his website: http://www.breckfirst.com. I encourage you to take the time to read this. In recent years, Eric is the first person to come out with such a clear campaign to actually represent us, the voters. His primary issues are affordable housing, healthy business development, childcare and early education, land development, open space and our ever present parking situation. Vail Resorts has a duty to their stockholders but Eric’s understanding that the town has been to “soft” in their dealings with Vail Resorts is totally correct in my view. His is a balanced view and one that should be implemented by all members of the council. Does anyone think that more can’t be done to improve our postal service? Eric clearly states he would address this issue (problem). I agree with Eric on the issue of the planning department. From the outside, it looks like they are more oriented to environmental issues than zoning. Eric clearly states he would move against the points system, which relies on the subjective judgment of the Planning Department. It does not make sense to pit hot tubs against solar panels. The Breckenridge Restaurant Association encourages all registered Breckenridge voters to search their mail for this spring’s mail-in ballot and participate in this important civic activity. As an industry, Breckenridge restaurants are a major source of employment, a significant contributor to the unique character of Breckenridge and a primary source of sales tax revenue for the town. As such, we support Mark Burke and Erin Gigliello in their bid for town council. Most of us have been attracted to the quality of life our town offers and the diversity of the families that bring vibrancy and activity to our community. For either young families or established families, our workforce face challenges peculiar to our community and the Breckenridge Restaurant Association feels town council has, in the past, administered significant leadership and encouraged a stable, productive and diverse workforce. We are confident Erin Gigliello and Mark Burke will share in fostering this community heritage. I am writing to support Erin Gigliello for Breckenridge Town Council. It has been my privilege to serve with Erin on the GoBreck Executive Board over the last year. This has given me a unique vantage to see her in action through a difficult transition period, when big-picture thinking, stakeholder engagement, balancing opposing viewpoints, consensus building, and making difficult decisions for the good of the whole community were at stake. These are precisely the qualities that make Erin such an asset for the people of Breckenridge as a candidate for town council. Her enthusiastic, sincere and professional manner continues to earn the respect of those around her. As a business person and a local, Erin gets the big picture job of driving Breckenridge economically, with the importance of reaching for that future in a creative, responsible and sustainable way. With three seats up, this is an important transition period for the Breckenridge Town Council also, as they chart the way forward for our community. Erin will be a valuable part of that team. I have known Breckenridge Town Council candidate Erin Gigliello for ten years. During this time, I have come to appreciate her as a hard working, reliable, and intelligent individual who is passionate about giving of her time and resources to better the lives of those around her. In addition to being devoted to her team at TV8 Summit, Erin also serves on the GoBreck Board of Directors, the Summit Chamber Board of Directors and she is also a Court Appointed Special Advocate (CASA) volunteer. I have been continuously impressed by Erin’s business acumen and her ability to find solutions, even in the most challenging and unique situations. I believe that the backbone of our community is having a stable and reliable workforce for local restaurants, retail shops, lodging companies, etc. and I know that Erin will work hard for this cause. I would describe Erin as a visionary — her instincts are strong and she regularly brings forward new ideas, showcasing her intellect. On numerous occasions, I have seen how she welcomes diverse perspectives and has taken every opportunity to engage in solution-based discussions, always looking for ways to expand her own knowledge. If Erin is elected, I am confident that Breckenridge will be in good hands! I know Erin as a person, businesswoman and public servant. She is intelligent, moderate and has the ability to not just offer an opinion but to listen. If her intelligence, work ethic and vision weren’t enough, Erin has a deep love for the community and a willingness to work hard and seek consensus. Breck voters have three votes to cast this April to determine who will direct the path of this town we all love. I can say with all my heart that a vote for Erin Gigliello will be a vote well placed.